What you are seeing is a crack in a return line pipe that was damaged by pressure grouting and settling. The problem begins with a settling concrete pool deck. The soil underneath cannot support the weight of that deck due to many different factors. Most of the time it is originally because of improper construction. The problem is the soil cannot support the weight. If you pressure grout the area you just add more weight on top of the soil. In the case of this damaged pipe picture above, the grout traveled down to the pipe and encased it. Now you have a deck that can settle and it is now connected to your return line by the pressure grout. So how did the pipe crack? 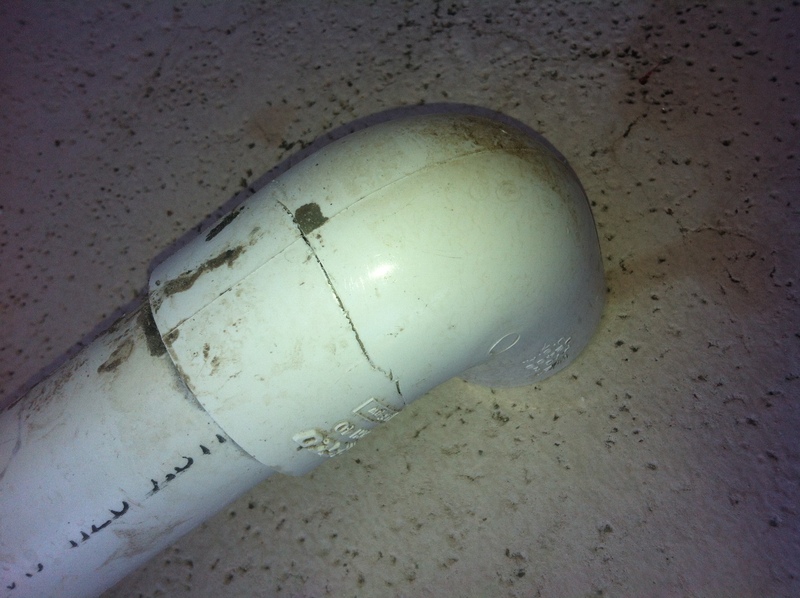 The pipe cracked when the deck settled again and then pulled on the pipe because it was connected to the deck by the pressure grouting. So my deck is settling what should I do? If your local then you should call me to come out and look at your problem. Every pool and problem is different. I can assess them and give you my honest opinion on what I would do if it was my pool. Well all I had was a backup of the current client login system from the old website. It was a bunch of php, jquery and mysql. If you were like me you had no clue about that! I spent all last night opening up the files and line by line examining the code. Could you believe that I understood it! Yep. I was able to figure it all out and even edit the code to add some things I needed. So The client login system is installed and I will be looking into something a bit more fancy in the future.